Dr. Serge has a Doctorate degree in nutrition from McGill University in Canada. In addition, he completed a 7-year postdoctoral training at Harvard Medical School in Massachusetts where he studied the impact of fat as it relates to heart disease. He has authored a book on this topic that is awaiting publication with Edition Berger publishers in Canada. Using Nutrition Response Testing Dr. Serge Gregoire can help you eliminate foods from your diet that are affecting your key organs to not function properly. Along with that, he uses Nutrition Response Testing to find and detox Toxins, Parasites, Yeast, Bacteria or even Virus. All of our bodies are different. With that being said, every client has a different improvement plan. Typically the client has to eliminate foods from their diet and take whole food supplements to replace the nutrition that food in today’s time is lacking. 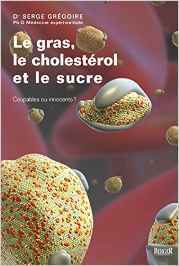 Along with these steps, Dr. Serge Gregoire will again use whole food supplements to re-nourish your organs. This way your body will be able to heal itself. At the end of your healing cycle, we will recommend a Maintenance Program so in the future you can prevent any major illnesses. Don’t freak out! We understand that this is a lot to take in and learn about. Along the way, we will help you the best we can. For example, we have recipes in the office, books that you can check out, weekly education and monthly seminars you may attend. As you start this new journey Dr. Serge Gregoire will want to see you once a week to optimize your healing process. After you have that down, every other week is appropriate. Eventually, we would like to see you on a Maintenance Program! Your “New You” is only a phone call away!